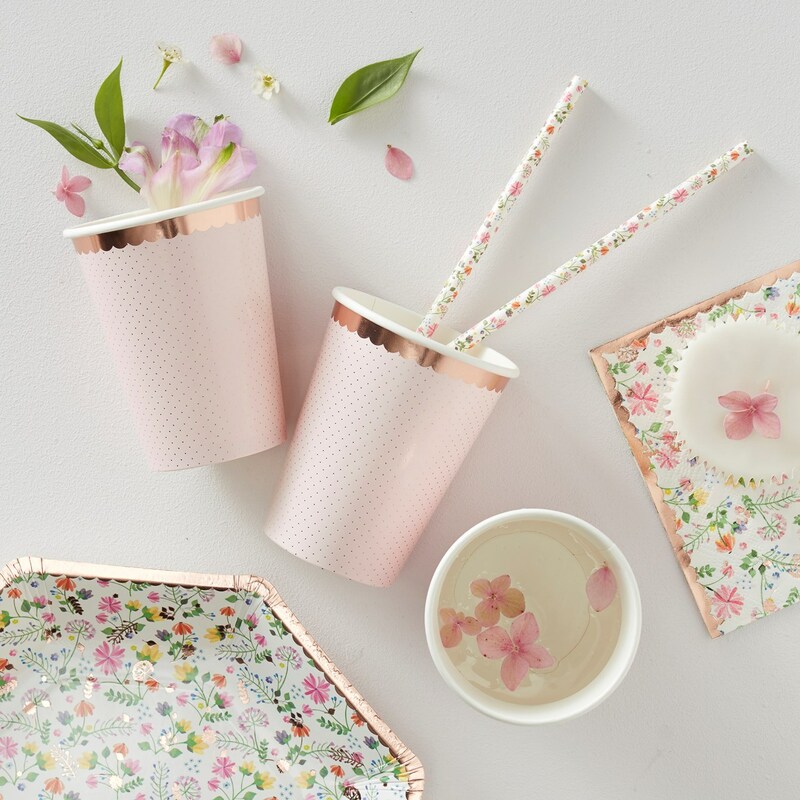 DescriptionThis cute pastel pink and rose gold foiled dotty cup will be the finishing touch to your celebrations. The pretty rose gold finish will shine away at your party and look stunning amongst your table setting and will be loved by guests! Each pack contains 8 cups measuring 95mm (H) by 75mm (W). This cute pastel pink and rose gold foiled dotty cup will be the finishing touch to your celebrations. The pretty rose gold finish will shine away at your party and look stunning amongst your table setting and will be loved by guests! Each pack contains 8 cups measuring 95mm (H) by 75mm (W).